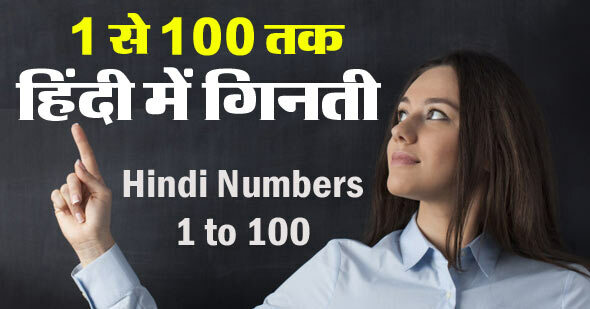 1 to 100 counting in Hindi: Counting between 1 to 100 numbers in Hindi is given below in English and Devanagari alphabet. Which is very useful for everyday activities. Note that are units for very large numbers not found in English: लाख (Lakh) = one hundred thousand, and करोड़ (Crore) = ten million. These units are also used in Indian English.